Daniel B. Hurwitz ’86, P’17,’20, current Chair of the Colgate University Board of Trustees, has announced that he will step down from his chairmanship, effective May 4, 2019, in response to increased professional obligations. Vice Chair Michael J. Herling ’79, P’08,’09,’12 has been selected by the Board to complete the remainder of Mr. Hurwitz’s term. Hurwitz is founder and CEO of Raider Hill Advisors. He is a Maroon Citation winner and a member of the James B. Colgate Society. He joined the Board of Trustees in 2009 and became Chair in 2015. During his tenure, in addition to chairing the Board, he served as a member of numerous committees, as Vice Chair of the Board, and as Chair of the University Resources Committee. Under his leadership, the university invested more than $100 million over several years to enhance the student experience, improve athletics facilities, construct two new residences halls, and bring about the completion of Benton Hall. 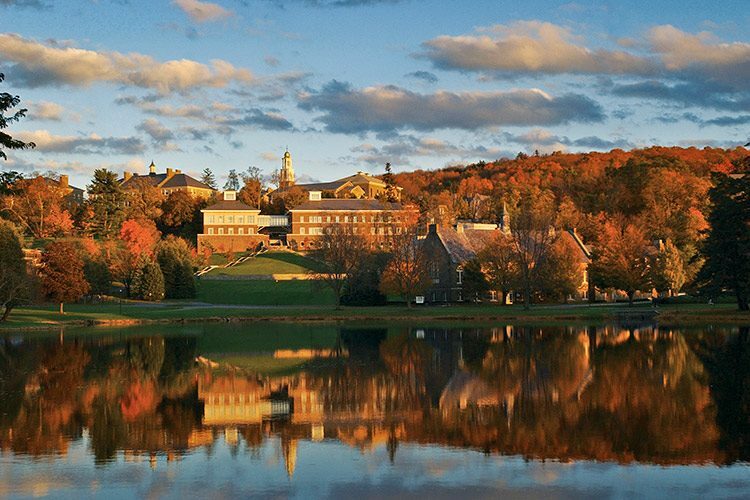 His dedication to Colgate’s admission efforts is reflected in the Hurwitz Admission Center, which bears his name and serves as the first stop for prospective students visiting the university. Herling, a winner of the Maroon Citation and the Wm. Brian Little ’64 Award for Distinguished Service to Colgate, joined the Board of Trustees in 2007 and became Vice Chair in 2015. He earned his JD from Stanford Law School, is a founding partner of Finn Dixon & Herling LLP and non-executive Chair of the Board of the Brink’s Company. During his tenure on Colgate’s Board of Trustees, he has chaired the Athletic Affairs Committee and Colgate’s most recent Presidential Search Committee. He served as a member of the University’s Task Force on Academic Freedom and Freedom of Expression. Outside his work with the Board, he chaired the Presidents’ Club Membership Committee and served for 10 years on the Alumni Council.